Arthritis is a very common diagnosis these days and the most important thing to remember is it’s not a death sentence. I think people are very scared of the term arthritis, when it can be a very manageable condition. By definition, arthritis means joint inflammation. It refers to a group of more than 100 rheumatic diseases and other conditions that cause joint swelling and pain. Some cases of arthritis can be helped by your chiropractor. Maintaining proper motion of a joint can prevent the damage caused by abnormal wear and tear. 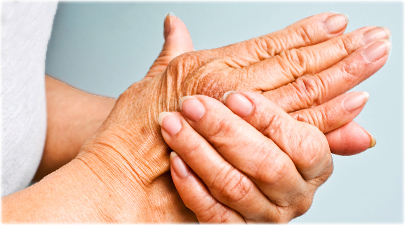 Other cases of arthritis can be improved with diet changes and the addition of supplements. Let us discuss a few types of arthritis. This is the most common form and results from excessive wear and tear. Most often OA affects the large weight-bearing joints of the body such as hips, knees and spine. Repetitive stress, obesity and trauma can increase your risk for OA. Regular visits to your chiropractor can decrease your symptoms of OA. What distinguishes RA from OA is that RA is an autoimmune disease and can be detected by the presence of a blood-borne substance called rheumatoid factor. RA typically has similar symptoms to OA such as joint swelling and pain, but affects the smaller joints of the bottom such as the hands and feet. RA can be greatly improved with diet changes and the addition of supplements. It is best to discuss this with your chiropractor who has expertise in the proper supplements to add to your diet. PA is another chronic type of arthritis. PA is often associated with psoriasis. Unlike the other two types, PA typically affects one side of the body and not both. PA tends to be progressive and should be monitored and controlled with an anti-inflammatory diet and natural anti-inflammatory supplements. Gout is a painful type of arthritis that causes attacks of pain, redness and swelling. Usually gout shows up in the big toe. The pain and swelling are fun uric acid crystals that escape from the blood and get deposited into the joints. Gout is hugely food related, and it is important for those suffering from gout to avoid red wine and red meat. If you have questions about arthritis, talk to your doctor and chiropractor to see how to best manage your condition! We offer nutritional consultations to help control your symptoms and improve your condition. Call North Shore Pro-Active Health with questions at 847-362-4476. 112 W Lake Street, Libertyville, IL 60048. www.drleasure.com. www.facebook.com/drleasure.